Late spring in Norway: Rays of sunlight are finally showering the landscape, forcing the snow in the mountains to a silent retreat, and waking the flowers after their winter sleep. Enter the start of the hiking season. After a long winter, people of all age groups and social backgrounds head outdoors and go trekking in the mountains, along the coast, or in the forests. And you are more than welcome to join us in our unashamed love affair with nature. 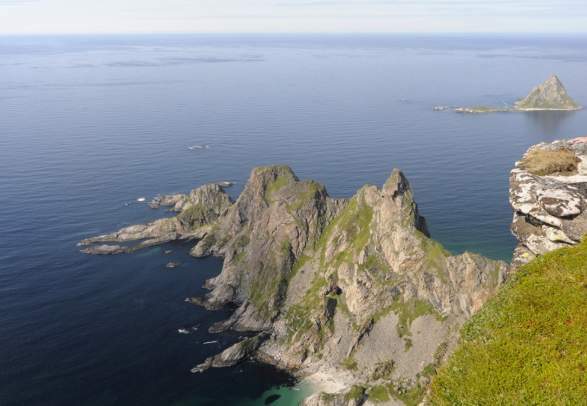 The varied scenery, from popular marked trails and tourist attractions to wild and untamed mythical landscapes, has earned Norway a well-deserved reputation as a major hiking destination in Europe. A few examples of classic (and challenging!) hiking routes are Preikestolen, Trolltunga, Galdhøpiggen, Besseggen, and Romsdalseggen. These iconic hikes are visited by people from all over the world, and tend to be a bit crowded during weekends from mid-June to the end of July. However, if you hit the trails during weekdays you will probably meet fewer people and get more space for yourself. Or you can take the trip when the landscape get painted in red, yellow, and orange during late summer and autumn. At this time, you can enjoy the scenic surroundings practically undisturbed. 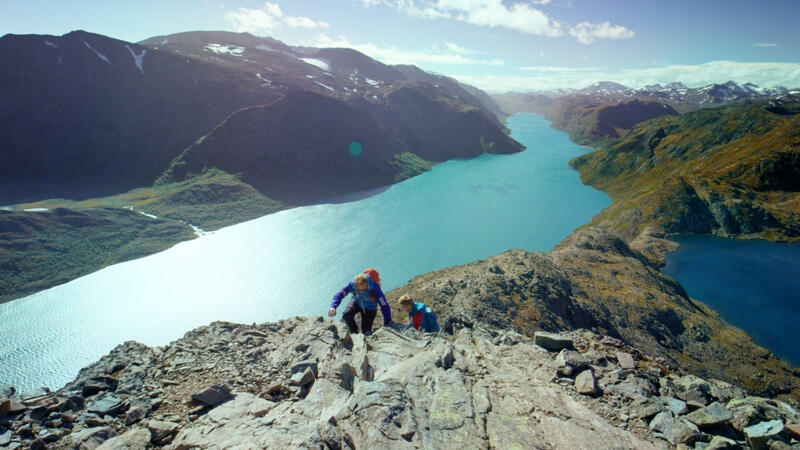 Many travellers choose hiking as a way to explore the Norwegian fjord landscape or to walk on a glacier on a guided tour. Our 46 national parks, which are free and open to the public all year, are further playgrounds for recreational adventures. Softer trekking options are also available – most trails are marked according to difficulty, so make sure you choose a route that suits your level. And whether you decide on a challenging or a small-scale hike, you can always make it easier for yourself and let experts guide you. Up and down the country, experienced guides with local knowledge are ready to make your adventure safe and enjoyable. 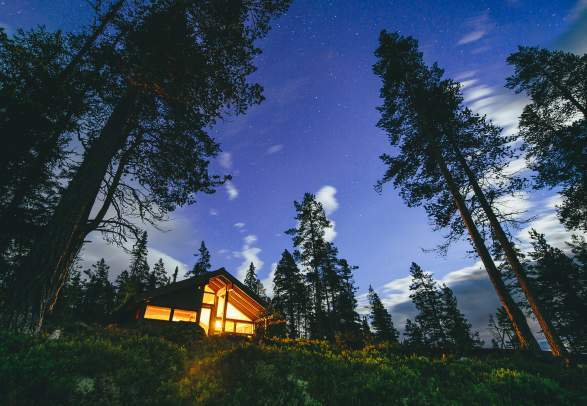 Numerous wooden cabins all over the country offer convenient and affordable accommodation for hikers. Many are of a fairly basic standard, but don’t be surprised if you come across a hiking lodge with a fancy design – quite a few have been designed by ambitious architects. And if you want a little bit of luxury, there is no shortage of grand hotels to choose from. 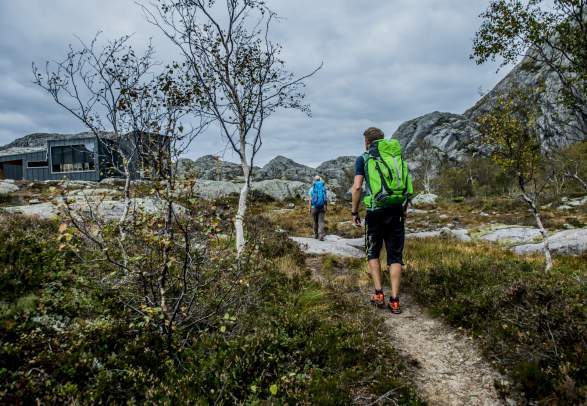 The Norwegian Trekking Association (DNT) runs more than 550 affordable hiking cabins all over Norway. Comfort levels vary, but you may be surprised – some cabins have been built by first-rate architects. Hike from cabin to cabin along the coast, in the forests, and in the mountains.